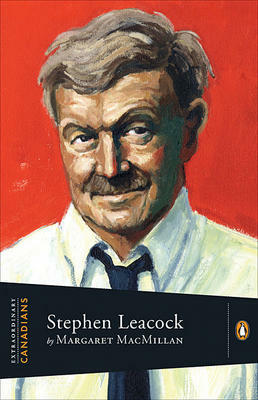 Robertson Davies once said: “Don’t try to analyse Stephen Leacock”. Margaret MacMillan avoids this, but she does give a sympathetic, as well as provocative picture of perhaps the most extraordinary Canadian in this series. She is of course the renowned writer/historian now warden of St. Antony’s College, Oxford. In his introduction to this book, John Ralston Saul says she is a master of the imperial mind, being a descendant of Lloyd George and equally at home in both the UK and Canada. Leacock was born in England, coming to Canada as a young boy in l870. For a long time England was “home” in all his public lectures, although he would change that as time went by. MacMillan understands his point of view – in both his professional life as a professor at McGill of Political Science and his humourous books, full of satire on Canadian life. Leacock first discovered his ability to make people laugh when he published, at his own cost, “Literary Lapses” in l9l0 and “Sunshine Sketches of a Little Town” in l9l2. They took off in the UK and then around the world. Leacock said the best humour is dignified and gentle, about the incongruities of life. He also said it is blended with pathos, i.e. both tears and laughter. MacMillan writes sensitively about Leacock’s private life. He was happily married but lost his wife in l925, when she was 45, he 55. More importantly their only son, born in l9l5, was showing a defect, and did not grow past five feet. Leacock was left to care for him on his own and young Stevie proved a tragic figure, not able to earn his living. Indeed Leacock’s last years were sad ones when he was retired from teaching at McGill and missed the congenial Montreal ambiance. But this is not what the world knows or cares about when chuckling over his books. They show the high courage Leacock displayed til the very end and still provoke laughter everywhere.